From the 12th-18th September was Innofreight part at the leading international trade fair for transport industry and technology ´InnoTrans 2018´. The fair takes places every two years and is organized by Messe Berlin. Together with TATRAVAGÓNKA, a.s., we have presented our 2 new InnoWaggons at the outdoor area. The shorter one 2x30ft was equipment with our SlurryTainer and InnoTainer-Coils and with the 2x45ft we have introduced the new timber construction. The 60ft and 90ft InnoWaggon were presented for the first time at this fair. The 60ft InnoWaggon is suitable for the transport of bulk materials, coils and liquids with, as well as for various semi-finished and finished products from the steel industry. The 90ft InnoWaggon has been designed so that the bases are suitable for all gauges. 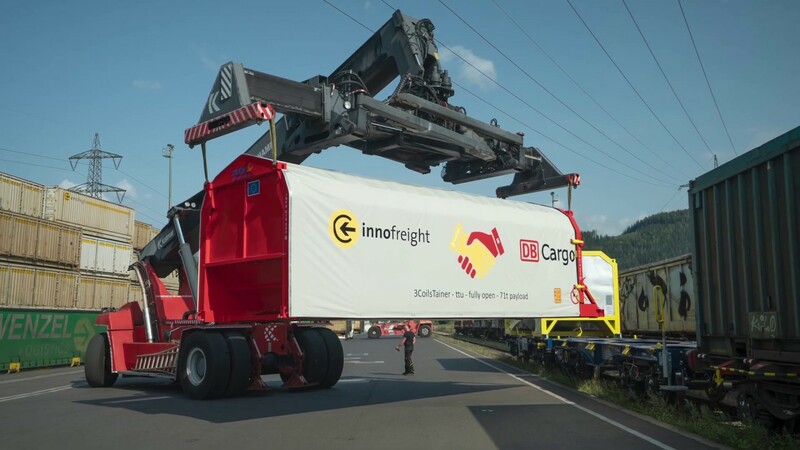 These wagons are another milestone in European rail freight transport! We sincerely thank the numerous international customers, partners and interested parties who visited us at the fair!